Trees are maybe the most important living thing on earth. Aside from producing fuel, building materials and food, they are the source of oxygen in our air. Without trees there would be no life on earth. 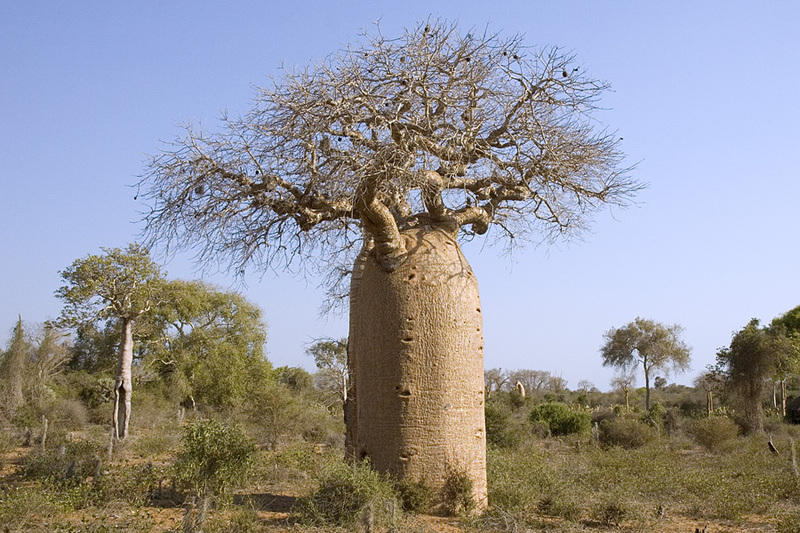 And as we know that Ma Nature loves diversity, there are many weird and wonderful trees that grow around the planet. 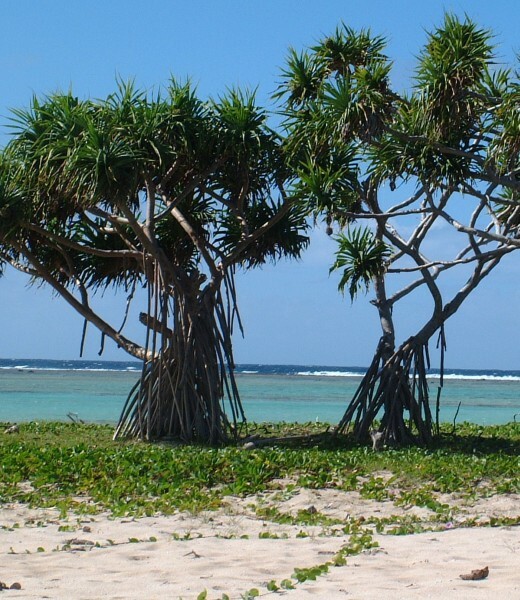 Here are then that make the list of top ten strangest trees. 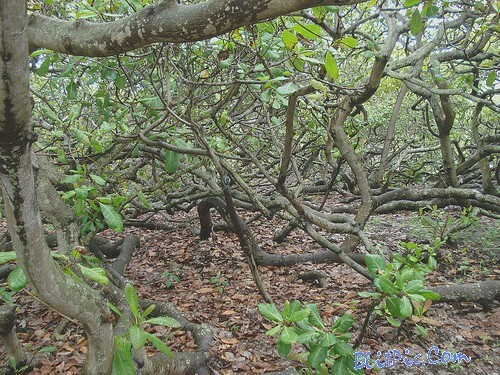 It�s the largest cashew tree in the world and more like a root and bush than a tree covering a span of 8,500 square meters alone. The tree in this picture, around 300 square feet, looks like a forest and a bears 8000 fruit in a year. General Sherman is located in the Giant Forest of Giant Sequia National Park, California, USA. The tree species is Giant Sequoia or Sierra Redwood, the family that boasts the tallest trees on earth. The natural distribution of Giant Sequoia is restricted to a limited area of the western Sierra Nevada, California. Due to the scarcity of these mighty trees the General Sherman tree is strictly protected. 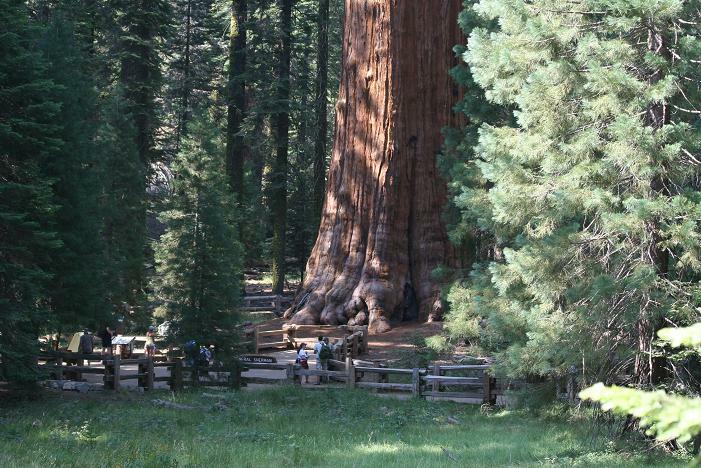 Stats: By volume The General Sherman Tree in Sequoia National Park is the largest tree in the world. Its volumen is 1500 cubic meters, or 55.000 cubic feet.The height is 84 meters (275 feet) and the circumference at the ground level is 31 meters (103 feet). The impressive features of this fantastic tree are among others that even 55 meteres above the forest floor its diameter bost a phopping + 4 meters (14 feet). This versatile tree is found from bare dry rock on Australia’s east coast to the swamps of the Northern Territory, and also in the surrounding Asia Pacific region. The trunk is usually solid, ringed with many leaf scars and they often have many thick prop roots near the base to provide support as the tree grows top-heavy with leaves, fruit, and branches. That certainly makes for a funky looking tree at the base. In 1945, Erlandson’s daughter and wife took a trip to the ocean near Santa Cruz, California. There they saw people lined up to pay to see such oddities as tilted buildings at the Mystery Spot. They returned home and mentioned (off hand) that Axel’s trees could draw people who would pay to see them if they were on a well-traveled tourist route. Axel jumped on the idea and bought a small parcel of land in Scotts Valley, California on the main road between the Santa Clara Valley and the ocean; and started the process of transplanting the best of his trees to their new home. The Tree Circus opened in the spring of 1947. On June 4, 1947, Erlandson wrote to Robert Ripley sending him 2 photos of his trees and inviting him to visit. 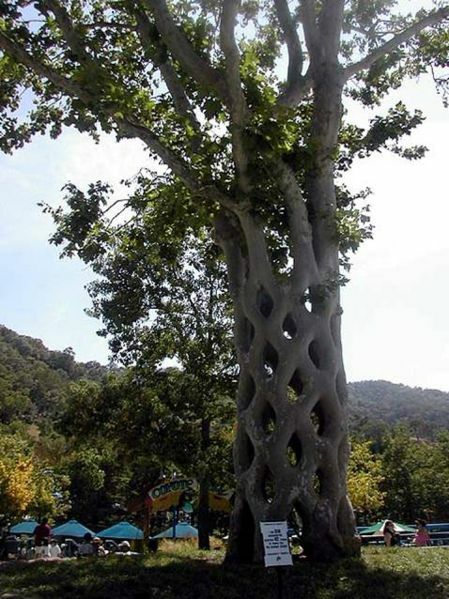 Erlandson�s trees appeared in the column of Ripley’s Believe It or Not! twelve times. 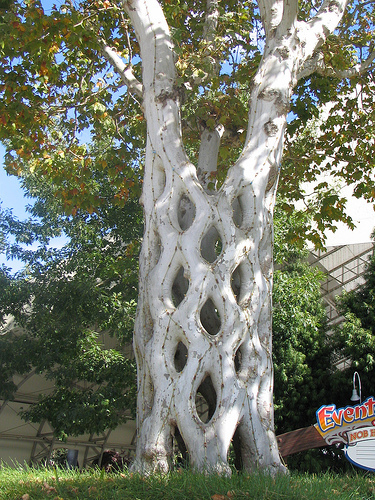 To create the “Basket Tree”, Erlandson planted six sycamore trees in a circle, topped them all at one foot, then approach-grafted them together one to another to form the diamond patterns. For the first 2.5 meters (8′) he left an opening at the top. This specimen today is featured as the centerpiece of Gilroy Gardens. The most famous tree of France is the Chapel-Oak of Allouville-Bellefosse, a small village not far from Rouen in Normandy. In fact it is more than a tree: it is a religious monument and an object of pilgrimage. The oak itself is one of the biggest and oldest trees of France, and in it are build two small chapels above each other. Together with the large wooden staircase leading up to the chapels the whole is one of the most curious Roman Catholique sanctuaries all over Europe. About the history is known a lot: in 1669 the priest of Allouville , Abbot Du Droit and father Du Cerceau decided to build a chapel in the already big and hollow oak, with a small altar with an image of the Virgin Mary. The chapel was dedicated to ” Our Lady of Peace “. Later on a second chapel was arranged above the first and an entrance – staircase build. The cork-like bark is fire resistant and is used for cloth and rope. The leaves are used for condiments and medicines. The fruit, called “monkey bread”, is rich in vitamin C and is eaten. 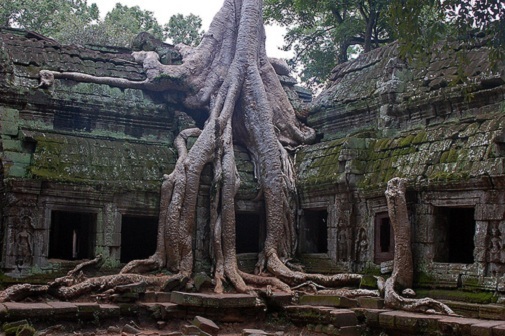 The tree is capable of storing hundreds of litres of water, which is tapped in dry periods. Mature trees are frequently hollow, providing living space for numerous animals and humans alike. Trees are even used as bars, barns and more. The Baobab also features as the Tree of Life in Disney’s “Lion King”, and is the centerpiece in Disney’s Animal Kingdom. 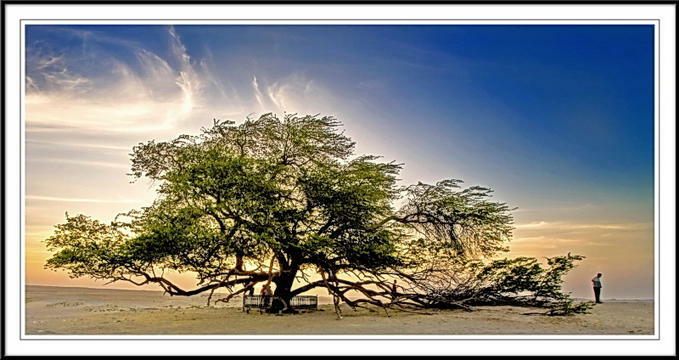 Radio-carbon dating has measured that age of some Baobab trees at over 2,000 years old. For most of the year, the tree is leafless, and looks very much like it has its roots sticking up in the air. There are numerous legends offering explanations of how the tree came to be stuffed in the ground upside down, so it could no longer complain. 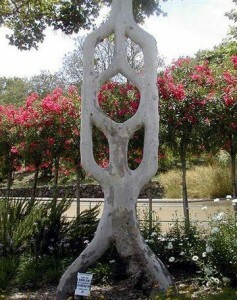 There are also numerous superstitions amongst native African people regarding the powers of the tree. Anyone who dares to pick a flower, for instance, will be eaten by a lion. On the other hand, of you drank water in which the seeds have been soaked, you’d be safe from a crocodile attack. This tree was believed to be extinct, long gone with the dinosaurs, and It is one of the oldest known tree species in the world. 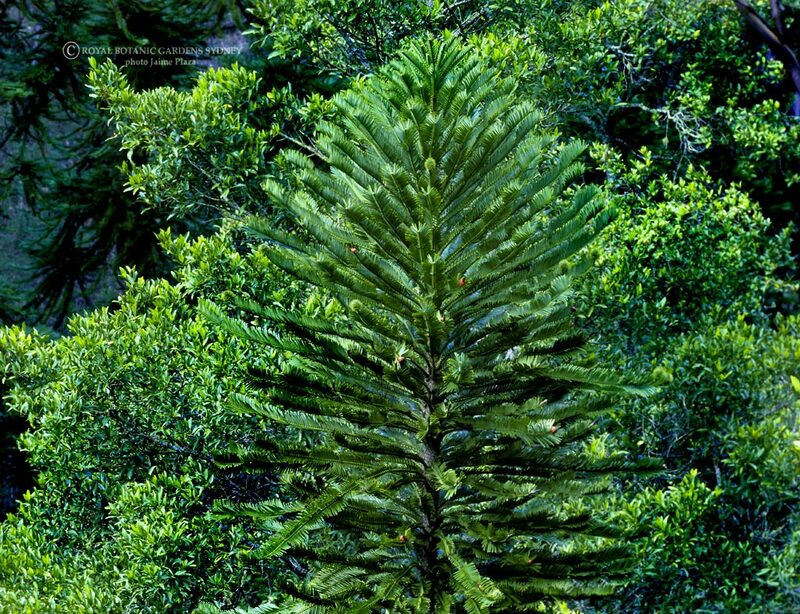 The Wollemi pine (Wollemia nobilis) was recently discovered alive and well in a deep, impenetrable gorge west of Sydney, Australia. Despite having outlived ice ages and bush fires, less than 100 mature trees now exist in the wild and their location remains a closely guarded secret. In 1994 this astonishing find became the focus of extensive research to aid its conservation. 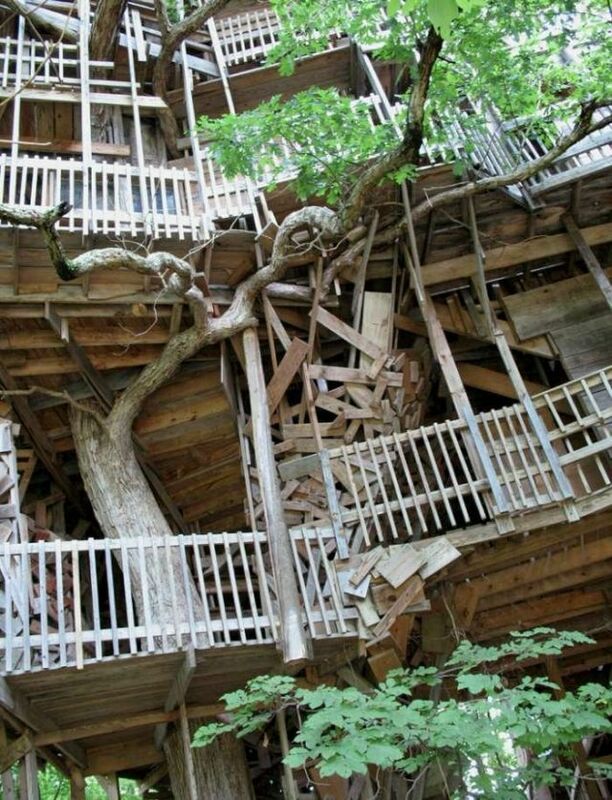 The Minister’s Tree House in Crossville, Tennessee is a bona fida tourist attraction and event setting (people go there to get married), and it is an architectural wonder. The structure is 97 feet tall, has 11 stories and roughly 8,000 square feet of space � far bigger than most houses and family homes. Absolutely amazing � didn�t you want one of these when you were a kid? No doubt real estate values in this forest have gone up. Keep on writing man – great job, love your stuff! these make the little trees in my garden at home look so ordinary….